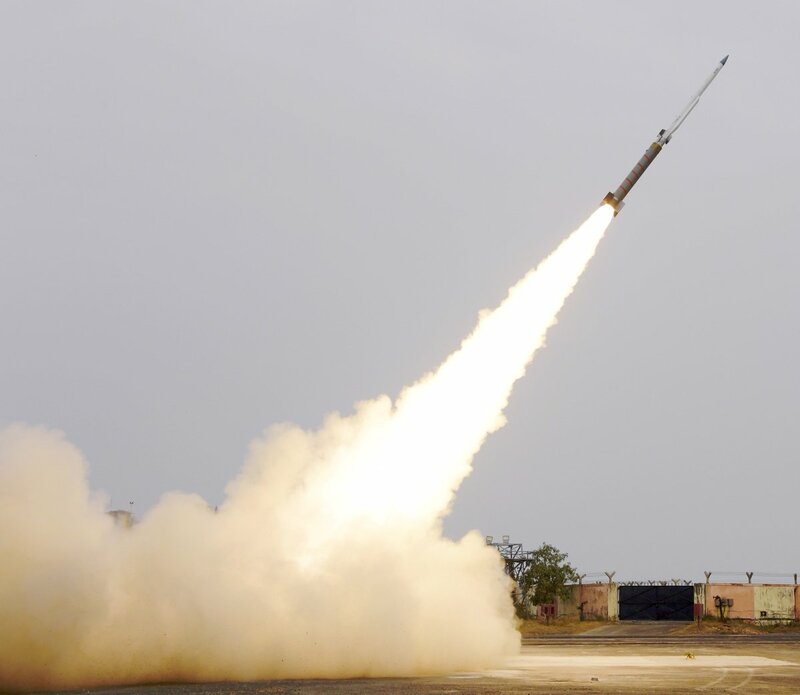 The Indian Defense Research & Development Organization (DRDO) completed a successful second test flight of Solid Fuel Ducted Ramjet (SFDR) propulsion based missile system from ITR, Chandipur, today. SFDR is a Indo-Russian R&D project which has been established to develop a long-range air-to-air missile and a surface-to-air missile system in near future. key technology used in SFDR will be used to develop a MBDA Meteor class air -to-air missile. First test of Solid Fuel Ducted Ramjet (SFDR) test carried out eight months ago succeeded only in the initial booster stage but did not activate the second leg that is crucial to propel a missile for a longer distance. It is still not clear if the missile system tested today actually involved testing of the second stage. The French Meteor air-to-air missile uses the Ramjet technology, giving them a range of close to 300 km — a cutting edge on the aerial battlefield, recently MBDA denied sale of Meteor for possible integration into Su-30 and lca-tejas fighter jet due to use of non-European radars which prevents sale or integration of the missile system by the their respected government.